Get Onsite Systems articles, news and videos right in your inbox! Sign up now. 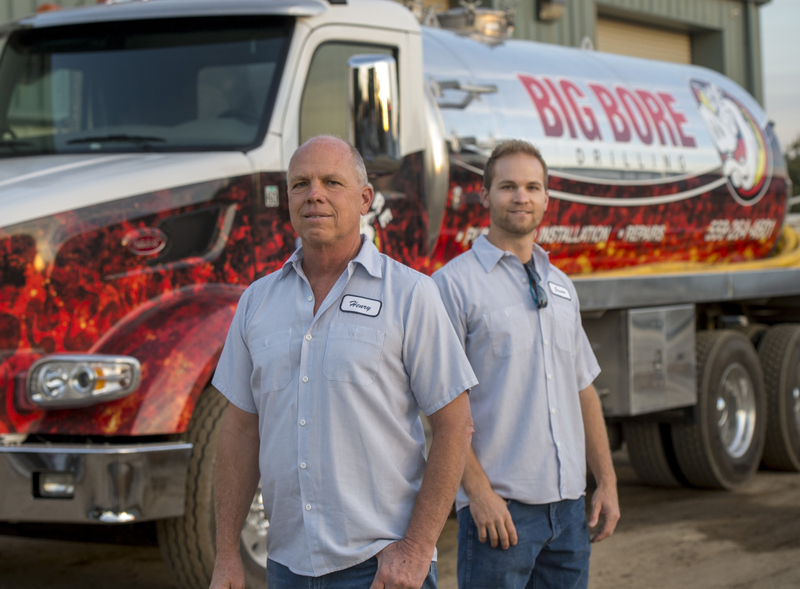 One of the most consequential decisions you face as the owner of a septic pumping operation is whether or not you should expand your service offerings to reach out to another niche. Sometimes the choice is prudent and purposeful, but more often than not, it’s a matter of taking the bull by the horns. Each month, Pumper magazine profiles a couple septic-pumping operations to share their stories, strategies and advice. During the course of our recent conversations with company owners, we’ve heard some good stories about capitalizing on opportunities in the onsite septic system industry. Henry Damm, for instance, originally had a motto of “if it ain’t broke, don’t fix it” for his successful septic-pumping and onsite installation business, Big Bore Drilling Certified Septic & Hydroflushing in Fresno, California. But big changes came for Big Bore Drilling when happenstance spurred Damm’s entry into the waterjetting and hydroexcavation business. He was working for a local plumbing contractor, pumping out septic tanks and performing septic system repairs, when the plumber was bought out by a national chain that didn’t want to do waterjetting. “So he asked me to buy some of his equipment,” Damm says. “I bought the Myers jetter, and the next day, we cleaned a line at a local college. Expanding into pipeline cleaning jobs made sense because it complemented Big Bore Drilling’s existing services. It also allowed the company to leverage its existing customer base because many existing farm and dairy customers already used the company to clean and repair their septic tanks, Damm explains. Looking ahead, Damm says he’s comfortable where the company is right now, but he’s also not opposed to further growth. In that vein, he envisions hydroexcavating and pipeline waterjetting becoming bigger contributors to the company’s bottom line. Those services will help offset the loss of customers created as the city converts more homes from septic to sewer service, he adds, noting that his own house is now served by sewer service instead of a septic system. 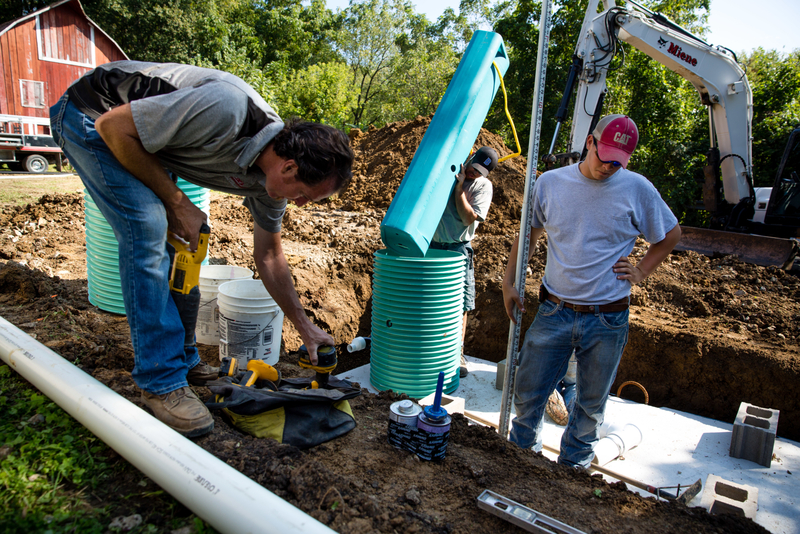 When Rick Miene’s company — Miene Septic Service of Robins, Iowa — started installing septic systems, it created a cascading effect of new site work opportunities. Jumping in headfirst, Miene started doing his own grading and then offered that as an added service. “Then we just started buying more attachments and doing more for people, and really trying to accommodate them while they were already under construction. We could get their properties into better shape for their needs,” he says. Once they bought the big excavator, they began digging basements and putting in small ponds or occasionally installing waterlines and sewer lines. Working for developers, they saw the need for land-clearing equipment, so they picked up a number of forestry attachments for their skid-steers and doing everything from building driveways to clearing fully timbered areas. When work slows down in the winter, they put plow blades on the trucks and wheeled skid-steer and offer snow removal services. Employees typically take vacations or work on an on-call basis during the off-season. Rex King Jr.’s story is a little different. His game-changing move actually occurred when he sold the portable restroom arm of his drain cleaning and septic pumping company, King’s Sanitary Service in Bristolville, Ohio. The sale dramatically altered the face of the company he acquired in 2012. By selling roughly 400 restrooms and a luxury restroom trailer to a competitor, he shed a seasonal business with lower profit margins. And by using the proceeds to increase marketing efforts, update aging equipment, and invest in a jet/vac truck with a hydroexcavating package, he positioned King’s Sanitary Service for growth in market sectors that offered higher profits and greater business volume: cleaning sewer lines and exposing utility lines for neighboring municipalities. The company makeover reflects key attributes that have enabled King to increase gross revenue by more than 100 percent since he acquired a local company and renamed it King’s Sanitary Service: a conservative fiscal approach; an eye for new, high-potential markets; a willingness to take calculated risks; understanding the importance of embracing and investing in newer technology; and strong support from family, both financial and otherwise.